Everything about Citilink Transit Advertising is BIG except the cost. BIG impact. BIG results. BIG value for your advertising dollar. Citilink provides approximately two (2) million rides each year. Bus riders are a captive audience and are likely to read interior advertising while riding to their destinations. 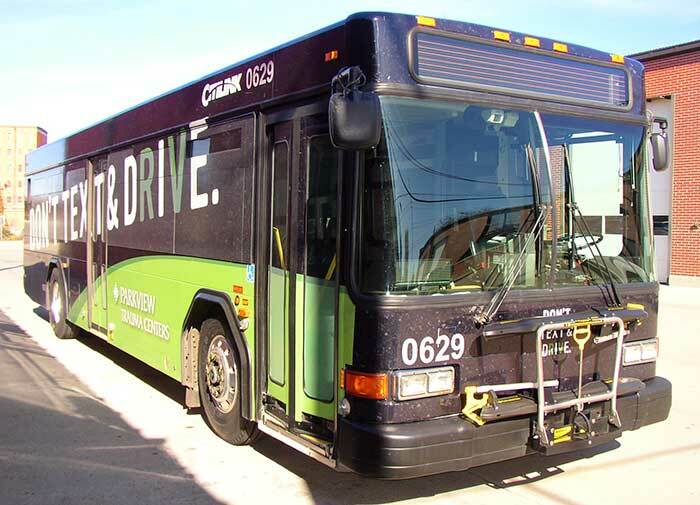 Interior bus card advertising is a cost-effective way to reach Fort Wayne workers, seniors, students, etc. Exterior ads are rolling billboards that everyone in the community can see. Interested in Fort Wayne bus shelter advertising? Sign Production Information: Advertiser designs, prints and delivers interior signs to Citilink. Cards must measure 11"x17-28" in size and be made of heavy (110# min) card stock (or similar material) to fit in the interior advertising racks. To maximize visibility use large text sizes (100 – 50 pt.) remember riders will be viewing your sign from over 6 feet away. Lamination or coating is recommended for long term contracts. (Estimated cost for you to provide 70 color signs is approximately $200). Sign Production Information: Advertiser may produce tail sign using an approved vendor (economy grade vinyl or above, UV protection recommended for long term placement). Citilink can provide tail signs for an additional $100/sign (approx). 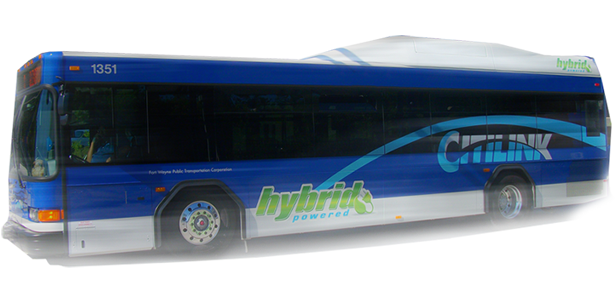 Buses have 18"x82" or 23"x77" size sign spaces depending on the bus design. Full tail wrap sign space is available for an additional 35% up-charge. Contact Citilink for details: Minimum 12 month contract required. Approximate cost $14,500/bus including space, design, production, installation & removal ($6,000 space only using approved vendor). Call (260) 432-4977 today to get your advertising moving. TERMS AND CONDITIONS: Billing is in full or quarterly and due when service is rendered. All production costs of signage are to be incurred by the advertiser unless otherwise agreed. Advertising materials are to be furnished by advertiser at least two days before start date. All advertising copy is subject to approval and may be rejected or removed if considered objectionable by Citilink. Fort Wayne Public Transportation Corporation is an Equal Opportunity Employer & Drug Free Workplace.